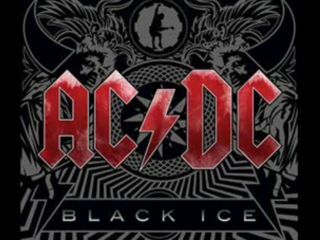 As AC/DC tear up the charts worldwide with Black Ice, there are numerous music lovers who still don't 'get' what AC/DC are all about. So here are MusicRadar's 13 AC/DC facts you really need to know…. Early AC/DC publicity info claimed Angus Young was born in 1959 - to help his 'schoolboy' image. He was actually born in 1955 - otherwise he would have been gigging with AC/DC aged 14. Angus Young was 18 when AC/DC released debut album High Voltage. Angus and Malcolm Young both play on Tales Of Old Granddaddy, by the Marcus Hook Roll Band. Not a recommended buy. 3. Let there be sock! Malcolm Young's iconic 1963 Gretsch Jet Firebird guitar was originally red, given to him by AC/DC's early producer Harry Vanda. The guitar had the neck and middle pickups removed. Young later removed the red paint and, for a while, placed his socks in the pickup cavity to stop feedback. Gretsch produce a signature version (pictured below)... without the holes or socks. If it is preposterous that Angus Young is still dressing as a schoolboy aged 53, thank yourself he didn't persist with other stage outfits from early in AC/DC's career - Zorro, Spider-Man, a gorilla suit, or a custom 'Superman' suit (known as SuperAng). 5. Let there be roof! Brian Johnson was in UK band Geordie, we know, but after they split - and before he got the gig with AC/DC - Johnson ran a vinyl car-roofing business in the north east of England. Malcolm Young's first job after leaving school was as a machine maintenance engineer for a bra company. Rock music saved him from a life of smutty jokes, obviously. One of rock'n'roll's longest-running and most bizarre urban myths is that Angus Young owns a tulip farm in Holland. It's a lie. "Sorry about that," Angus says. "Every flower I see, I cement it." But Angus does have a home in Holland. That much is true. 8. Why do AC/DC still sound the same after 34 years? Malcolm Young: "Most people, when they progress, they progress right up their asses." That told you. Brothers Malcolm and Angus Young were born in Glasgow, Scotland. The late Ronald 'Bon' Scott was born in Kirriemuir, Scotland. Bassist Cliff Williams was born in Romford, England. Current vocalist Brian Johnson was born in Gateshead, England. At least drummer Phil Rudd was born in Melbourne, Australia. He was born Phillip Hugh Norman Witschke Rudzevecuis. Here's early AC/DC doing 'Scottish', bagpipes and all. Malcolm Young plays lead guitar on Soul Stripper, Show Business, You Ain't Got A Hold On Me and Can I Sit Next To You Girl. Well done. They're not exactly first on the setlist though, are they? 11. Let there be stamps! Australia issued a 'Rock'n'Roll' stamp set in 1998. The AC/DC stamp is a picture of Angus Young, with "It's a long way to the top" written across his school bag. AC/DC even have a whole set of themed stamps issued by the Republic of Benin, West Africa (below). The stupidest radio caller ever?